Dancer-choreographer Marje Hirvonen will work with (non-) dancers to create a contemporary dance performance, based on the relation between an individual and a mass. She investigates masses of people, and attempts to redefine these terms through the body from an internal perspective. Marja-Leena (Marje) Hirvonen was born in Finland but lives in Cologne since autumn 2008. She studied contemporary dance at the University for Music and Dance Cologne, successfully completing the course in 2012. 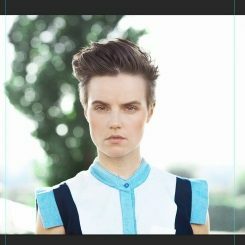 Before her studies, Marje had already worked and performed with the dance ensembles Cat People and Step Up-dancers in Finland. She had also trained youth groups. In the second year of her studies she spent four weeks in India, in Chennai, learning the Indian martial art Kalarippayat and the classic dance forms Mohiniyattam and Bharatanatyam. projects in cooperation with artists from the most diverse disciplines: dance, installation, design, music, physical theatre, video and photography. Both in North Rhine-Westphalia as well as abroad. Various forms of theatre have always fascinated Marje, in Amsterdam she worked with Jacob Ahlbom, who has established a very unique style in the field of physical theatre. © Marje Hirvonen In the framework of the programme for young choreographers, ʻʻWerkstückʼʼ, which is initiated and managed by Tanzquartier Vienna, she created her first work, a solo ''origin – sin – body''. This solo enjoyed the support of the Akademie der Künste der Welt and was presented in Cologne. Her first Duet ''togetherness” with Markus Tomczyk was presented, among others, at the dance festival 638 Kilos Dance. Her first full-length project ''Trinity'' for four performers was financed by four different institutions and was received with enthusiasm. In June 2017 ''Trinity” was invited to Krefeld to the FIRST STEPS-Festival. In 2016, her concept ''RAVE'' was selected and produced with twelve dancers/participants in the framework of the New Talents - Cologne Biennale - Festival. In addition to choreography Marje Hirvonen, performs herself in many different projects, including being since four years a member of both the Group Fantastic5 (an urban dance group), as well as the FREIRAUM-Ensemble that creates site-specific contemporary dance performances annually. Marje Hirvonen has performed in various music videos and in addition to acting, she has also created in 2017 a choreography for the music video ''No'' of the band Bukahara with 70 volunteers. She produces and shows her work regularly in Tanzfaktur in Cologne. 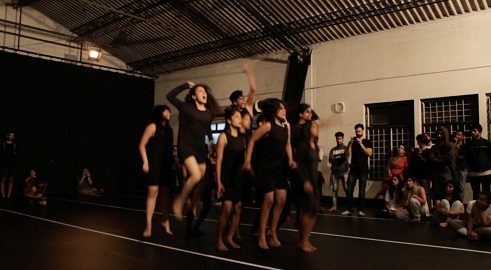 In March 2017 she organised a small dance event/festival with live music, and various performances, including her new premiere, a dance-theatre piece with Nella Turkki about utopia and homeland. Her interests lie in general in the current, social (-critical) topics, that she observes in her environment and comments on them - in one way or another - in her work. Marje positions herself as an artist somewhere between dance, theatre and performance. In 2017 she was selected with her concept of ''fame - when I still thought I would become famous'' for a programme called WEST OFF, that produces dance in three different institutions in Cologne, Dusseldorf and Bonn.In the summer of 2017 she is acting in several short films with and among others Uwe Repschlager and the graduates of the Art University of Media in Cologne. My time in Bangalore wasn’t long, but still very intense and productive. The first orientation week gave me the feeling that I wasn’t alone, that the other residents are going to have the same themes ahead of them and are confronting the same issues as me. I actually found friends among the residents, colleagues, with whom I spent great time together and had some good talks. They were as well inspiring exchange partners concerning my project. 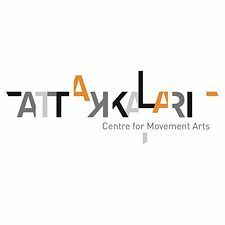 Attakkalari Center for Movement Arts was a good host. First I was a bit irritated about my position as a faculty, but ultimately they were very flexible with the content, schedule and number of my classes. The teaching gave me a lot; the students were highly motivated and simply nice people, that I loved to teach. © Anna Hofer Right from the very beginning the project went well. I prepared my work well already in Germany, but the challenge was not knowing the level of the students. They developed quickly and understood what the project was about. For me it was very important, that the students were attentive to the topic: what we were doing and what we were about to communicate with the work: it was about an experience, not just a presentation of a topic. The group of 12 student was exactly a right amount. The first year, a class of 40 students was a little bit too many - and the studios for this big group too small. 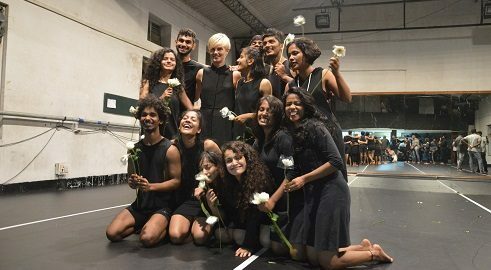 With the first year I did a lot of improvisation and I believe that they learned a lot - they got to know a new approach to contemporary dance. The presentation of “DEMOS” was very different to my earlier works, without music and the distinction between the dancers and the public. It was an experiment for all of us, which I was in the end very content with - it opened another window for my artistic approach. © Anna Hofer I am very satisfied with the students and with the evening overall (except the pouring rain). For me as an artist, it was very interesting to notice what kind of influence the bangaloREsidency had on my artistic approach; it wasn’t just about me and my work, but first of all about the students. It was an enriching experience. I hope very much to have a possibility somehow to return and create another project with the students and teach them again. 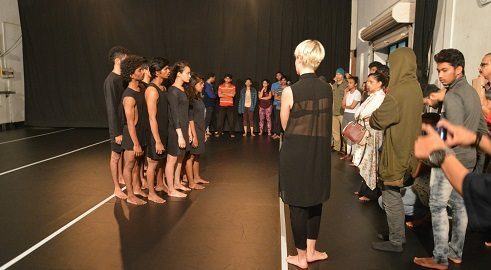 Besides the Attakkalari Center for Movement Arts, I made some other contacts in the dance scene of Bangalore and I would love for them to develop into a further collaboration, for example in the form of a residency in the dance studio “Play And Discover” of Abhilash Ningappa. I am sincerely thankful for this unique experience.